You may be aware of the fact that this week the Israeli Chief Rabbinate Council refused to automatically renew the tenure of Rabbi Shlomo Riskin as Chief Rabbi of Efrat, instead summoning him for a hearing on the subject. To date, the extension of 75-year-old municipal rabbis’ tenure for an additional five years has been considered a formality. 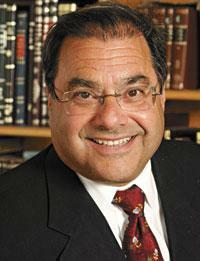 But Rabbi Riskin – our inspirational and dedicated leader – has been singled out, making it clear that the summons is politically motivated, and based on the Rabbinate’s opposition to his “liberal” views on many issues. To paraphrase Winston Churchill, if you face opposition you should be proud, because it means that you’ve stood up for something, sometime in your life. Indeed, the Rabbinate’s opposition serves to illuminate the ideals for which Rabbi Riskin has been standing his entire life, both in the rabbinate and here, at Ohr Torah Stone: building bridges through tolerance and warmth; striving toward social justice; training modern, relevant spiritual leaders; attaining equality for women in learning and leadership; and making sure that the beauty and significance of Judaism is accessible to all. Moreover, the Rabbinate’s staunch opposition to Rabbi Riskin must be understood in a greater context: it’s a shot across the bow against Modern Orthodoxy and religious Zionism, through attacking one of its most influential proponents. Nonetheless, we remain optimistic. The overwhelming wave of support Rabbi Riskin is receiving has been extremely heartwarming and encouraging, and only serves to reinforce the justice of our vision and the strength of the movement which Rabbi Riskin has spent his entire life building and serving. We thank you in the most heartfelt way possible for your steadfast support, and know that you join us in wishing Rabbi Riskin many more years of historic achievements and accomplishments on behalf of the entire Jewish people. There have been scores of articles written on this subject; OTS will not be posting each one, but we invite you to stay updated on all developments through our Facebook and Twitter pages.